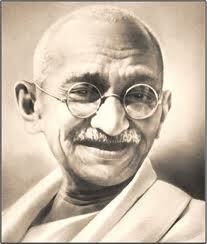 Mahatma Gandhi''s full name was Mohandas Karamchand Gandhi. He was known to be the architect of the freedom of India. His life was solely dedicated to his principles of truth, non-violence and love. He went to England to become a barrister. On returning he was busy in reforming the downtrodden through his knowledge of advocacy. Gandhi used to take up the cases of the poor and the people who are not guilty of any crime. When he was in South Africa, he saw the plight of the indians there by the britishers. Once he also faced racial discrimination from the british people when he was forced to step down from a first class compartment of a train, even though he had a valid first class ticket of that train. This incident changed Gandhiâ€™s outlook. After returning to India, he started off a number of movements against the british empire and with his principles of truth and nonviolence, he made british people go away from Indian granting independence to India. A birth chart (also known as kundli, janma kundali, or horoscope) is a map of heaven at the time of birth. Mahatma Gandhi's birth chart will show you Mahatma Gandhi's planetary positions, dasa, rasi chart, and zodiac sign etc. It will also allow you to open Mahatma Gandhi's detailed horoscope in "AstroSage Cloud" for research and analysis.